In the arid state of Rajasthan are several traditional reservoirs or cisterns, once used to store water but today nothing more than dust bowls. When architect Sanjay Puri realised that the site of a 100-acre project he was working on in Ras hosted one such recessed cistern or stepwell, he decided to restore this ancient system to augment the water supply within the township and create a cool public space which the community can gravitate to. 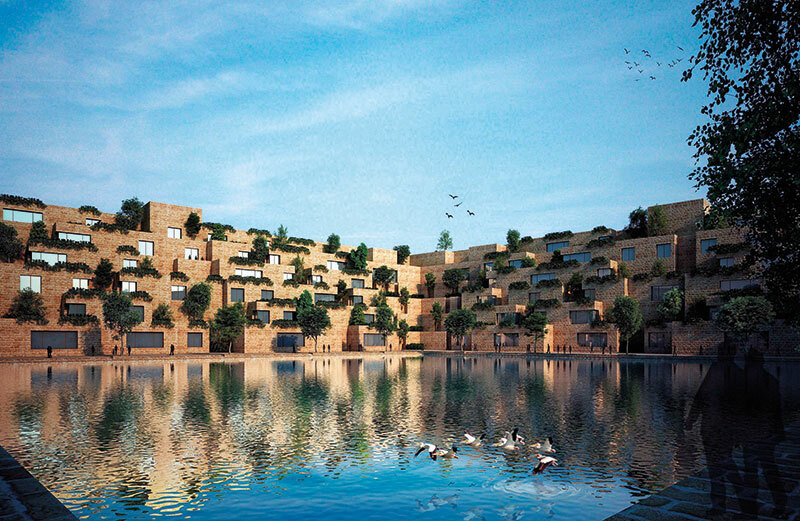 The Reservoir, as the award-winning mixed project of residences and commercial spaces is called, has terraced offices that follow the contours of the naturally recessed cistern which fills with water during monsoons. In a bid to stay sustainable and reprise native architecture, the offices have been sculpted using local Chittorgarh sandstone. Puri says, “We have learnt that ancient Indian architecture holds several examples of sustainable design that can be imbibed in today’s contemporary design solutions. Rajasthan always inspires me: the old settlements, the palaces, the forts are all inspiring.” The project has won several global awards, including a recent one from Progressive Architecture magazine, presented at MoMA in New York. 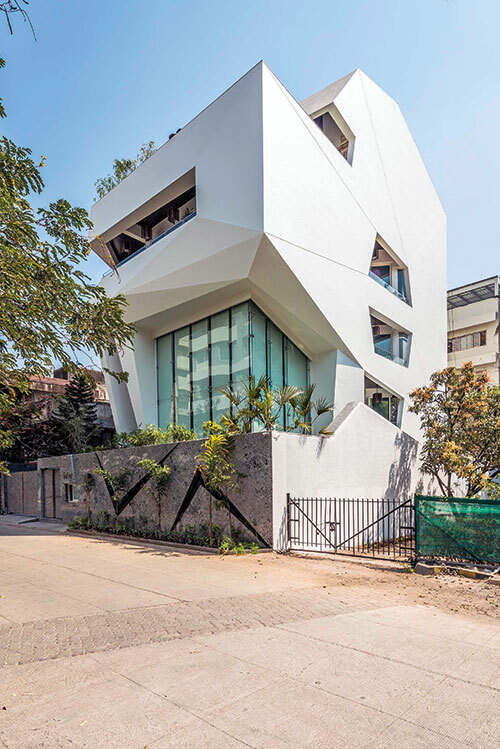 The Mumbai-based architect, town planner and interior designer’s avant-garde practice not just spawns large-scale projects, but increasingly comes up with sustainable and locally available solutions. 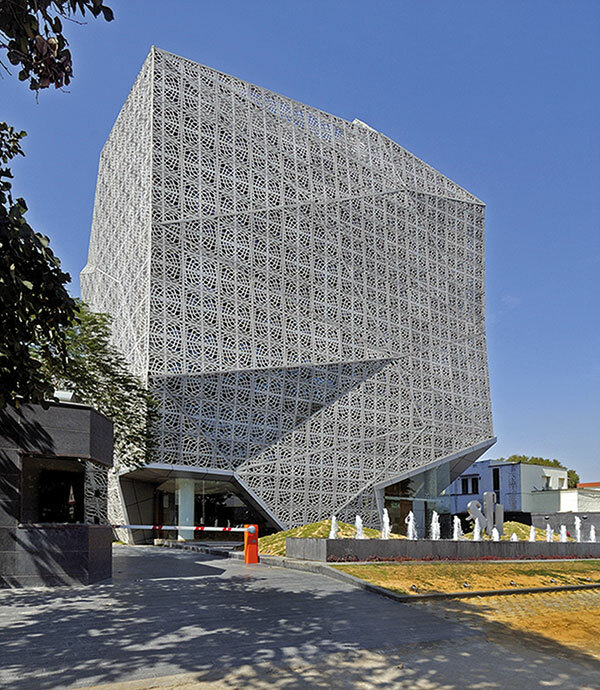 A case in point, Offices ’63, a complex he built for an IT company in Gurugram, which won him an award in the Future Category (commercial) at the World Architecture Festival awards, also paid tribute to Delhi’s heritage. The southern, sun-facing side of the building was protected by screens designed like the jalis in Humayun’s tomb. That is the thing with Puri; he is constantly experimenting, trying to explore future horizons before the world wakes up to them. 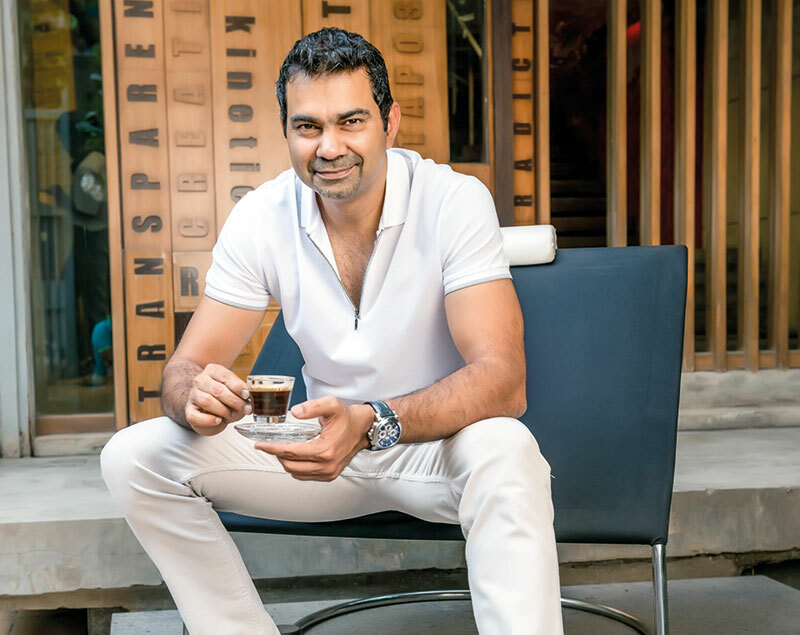 In 1992, when he founded his studio, his first assignment was a gigantic 54-acre residential site at Vasai in the Konkan division of Maharashtra. 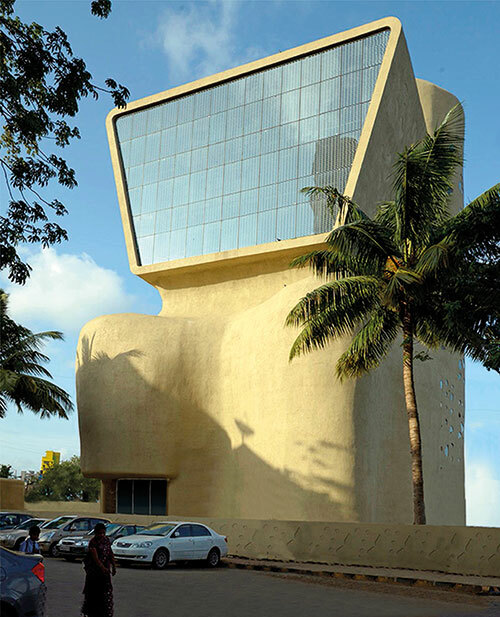 It did not just set the scale for a lot of architectural and town planning projects that his firm has worked on over the past few years, but also established his as among the few unconventional practices in India. The minimal, Zen-like quality he so admires can also be seen in the work of Vienna-based firm Coop Himmelb(l)au (formed by Wolf Dieter Prix, Helmut Swiczinsky and Michael Holzer). They often build asymmetrical structures that strive for freedom from the constrained formalism of a style. “They create open-planned, open-minded, open-ended designs, made up of complex, undefined spaces,” he says. 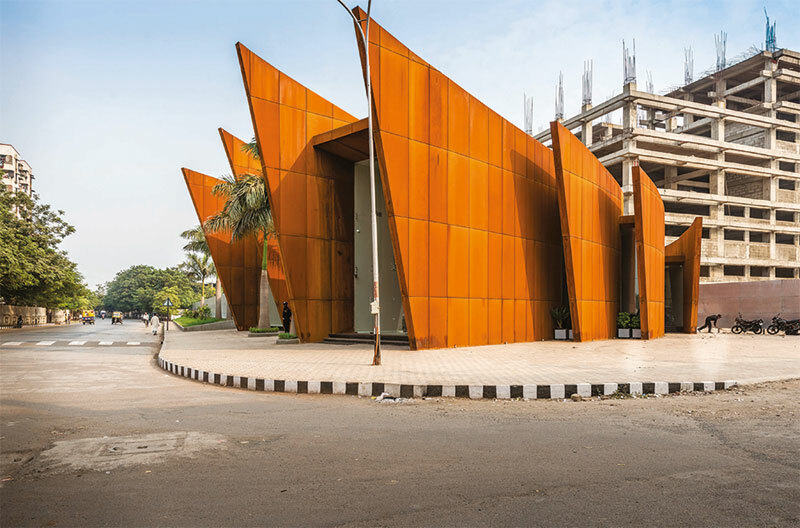 His style resembles deconstructivist architecture, according to an article in Wallpaper* magazine, which analysed several Indian architects. Puri’s work is inspired by those who have actively practised deconstructivism, such as Bernard Tschumi and Rem Koolhaas. 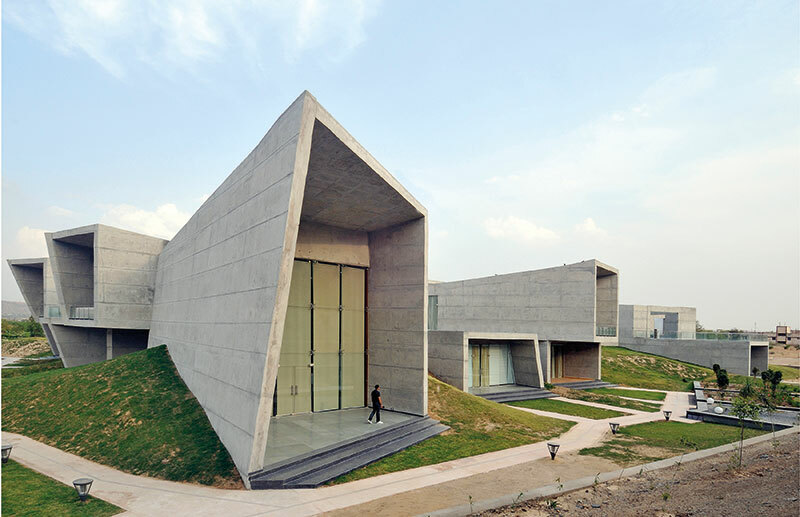 Several large volumes intersect and juxtapose at several points in Puri’s design. “A while ago, I began exploring the thought of sculpting the entire space; instead of breaking the project into forms that juxtapose, what if I approach the building more holistically?” he muses. In Kolkata’s Chrome Hotel, for instance, angled trapezoidal planes punctuated with varied compositions fold down from the ceiling to create two private dining areas.